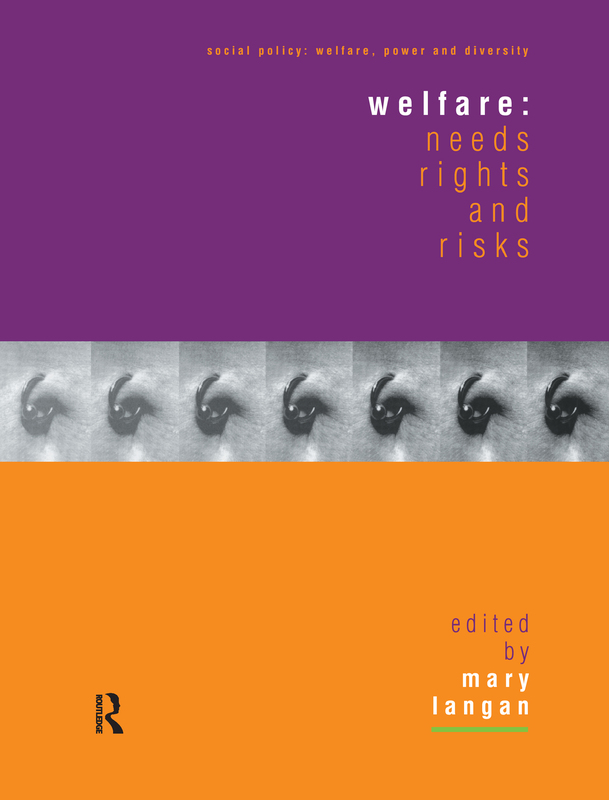 Welfare: Needs, Rights and Risks addresses the question of how people get access to social welfare in the UK today. It explores the public, political and professional definitions, constructions and conflicts about who should receive social welfare and under what conditions. In a period during which the rationing, targeting and selective provision of welfare have become more significant, more visible and more disputed, this book examines how individuals and groups come to be defined as in need, at risk or deserving of welfare.